NEW DELHI: It's a crucial time for net neutrality in India. 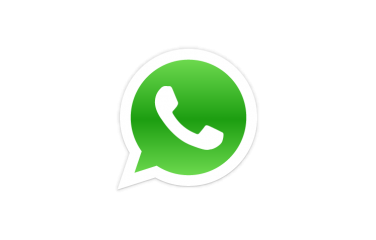 The Indian telecom regulator, Trai, has published a consultation paper for framing regulations on 'over-the-top' (OTT) services or simply, value added third party internet-based services such as WhatsApp, Skype, Facebook and Viber, among others. Should OTTs be licensed. If yes how? Under current rules or new ones. Should we leave net neutrality undecided and let the market in future decide its fate? The public has been asked 20 questions based on above 2 points. 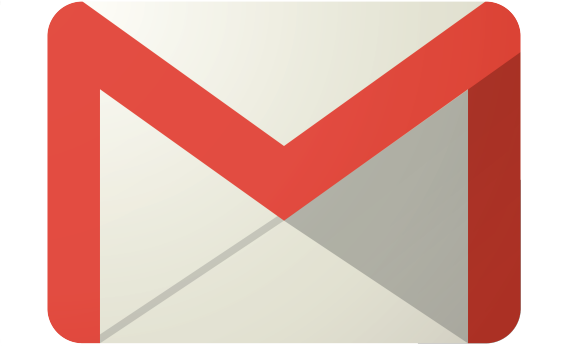 You have to send mail to a TRAI email ID with answers to these questions. You can do this till April 24, 2015. Time will be provided for counter comments from April 24th to May 8th. 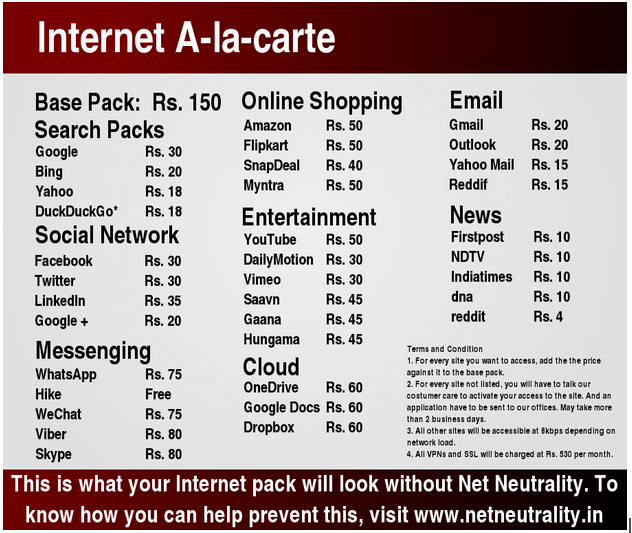 To make sure that anti net neutrality rules aren’t formed in India, we need your help. You will have different packages for accessing internet. 1 GB data for Rs 252 + Rs 50 for Google + Rs 25 for facebook and so on. 1 GB data pack would be like the base pack of your DTH. But you will have to add packs for carrier decided pricing to be able to use all apps. Isn’t this SCARY? Its just the start! ISPs can slow down some sites on while giving faster speeds to the companies that pay them more. Say its a “big sale day” of Amazon and Flipkart and you are customer of ISP ‘BIGTELCO’. BIGTELCO can strike a deal with Flipkart for better speed on their network. Due to this you won’t be able to purchase on Amazon even if something is cheaper. Governments will no more need draconian laws to curb free speech. It can just ask the operators to make critical sites costly to access and also clamp down their speeds. Telcos that already have vested interests from the governments will happily oblige. If you choose to stay silent today thinking that things will eventually sort out, they won’t. You will have to pay for Youtube, Gaana.com etc. like TV packages. Send email to advqos@trai.gov.in with content as to how such a law from TRAI would effect an internet user like you and mention that you dont want TRAI to regulate OTTs or bring any services under a license framework and add that TRAI should support net neutrality and not the greedy telcos. We are working on an automated form and will put it here soon. Go to change.org petition and sign up to save Internet. Please raise your voice by signing up the petition in large numbers, tweeting about net neutrality and sending mails to TRAI befor April 24th.